A massive update landed for ArmA 3 this week, coinciding with the Apex Expansion launch. If you're an ArmA 3 player, you're in for a doozy of an update. This update clocks in at 9.6 GB or 1.5 GB, depending on whether you have Apex or not. Apex adds a whole new warzone into the game. 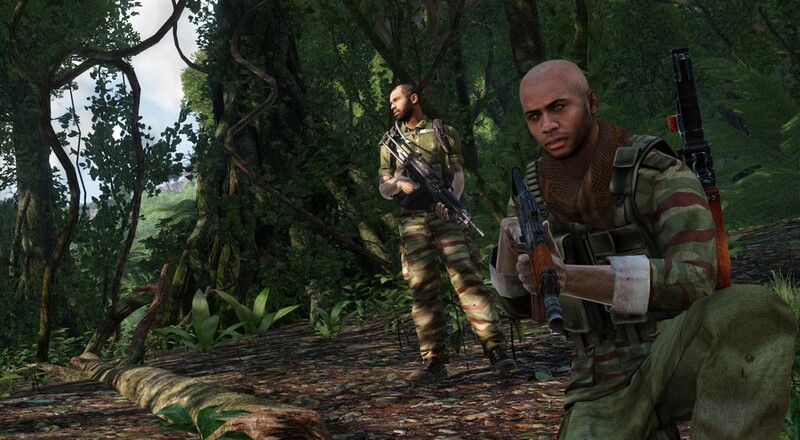 Tanoa, a South Pacific island archipelago, has distinct geographical features which provide new opportunities to players. New weapons, gear, and vehicles are all available to expansion owners. Probably of most interest to the co-op community is the Apex Protocol 1-4 player co-op campaign. Apexis available now on Steam for $34.99 and, of course, requires ArmA 3 to play. For players on the fence about the expansion, there's still improvements for them in free Update 1.62. The main menu has been overhauled, vehicle-in-vehicle transport has been added to the game, the Environmental Audio has been enhanced, and the Revive feature has been given a face-lift. This in addition to the normal tweaks and bug fixes that are the bread-and-butter of a large game update. For the full patch notes, as well as Bohemia Interactive's tips for users on safely updating the game (due to the heavy modding that many users apply to ArmA 3), you can visit their dev site. It should be noted that Update 1.62 does not currently apply to the experimental Linux and Mac port betas. ArmA 3 is out now on PC with up to 16-player online and LAN co-op. Page created in 0.3023 seconds.